/ Top 25 Questions About the Big Berkey Water Filter – Answered! Don't have time to read the whole article? 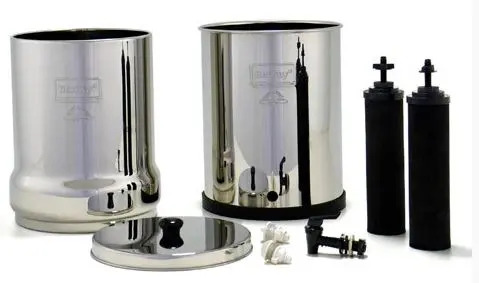 Check the price of Big Berkey at Amazon right here. You can also check for any special discounts at BerkeyFilters.com by clicking here. If you're thinking about buying a Big Berkey, you probably have some questions you want answered. I took a look around the Internet and found what people are asking about it. Then I picked 25 of the best questions and listed them below along with the answers. You'll find a lot of information here that will help you decide if you want to invest in a Big Berkey. You can click on any question in the table below to get an instant answer, or scroll on down and read the whole article. 1. Who makes Big Berkey? 3. How does a Berkey filter work? 4. How do you use a Berkey filter? 5. What contaminants does Big Berkey remove? 6. Does Big Berkey take out chlorine? 7. Does Big Berkey filter out fluoride? 8. Will it remove sulfur and iron from well water? 9. Does Big Berkey leave in the healthy minerals? 10. Does a Berkey filter increase alkalinity? 11. How many filters does Big Berkey have? 12. How many gallons does the Big Berkey hold? 13. How many people is the Big Berkey good for? 14. 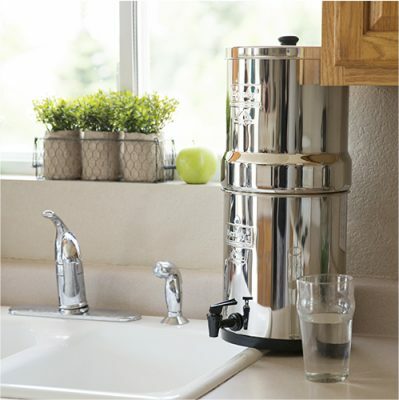 How long does it take for Big Berkey to filter water? 15 What are the dimensions of Big Berkey? 16. How do you assemble a Berkey filter system? 17. How do you prime the Berkey filters? 18. How long do Berkey filters last? 19. How do you clean a Berkey system? 20. Can the Big Berkey be used to filter river water in the event of a disaster? 21. Can a Berkey filter ocean water? 22. Does it soften hard water? 23. 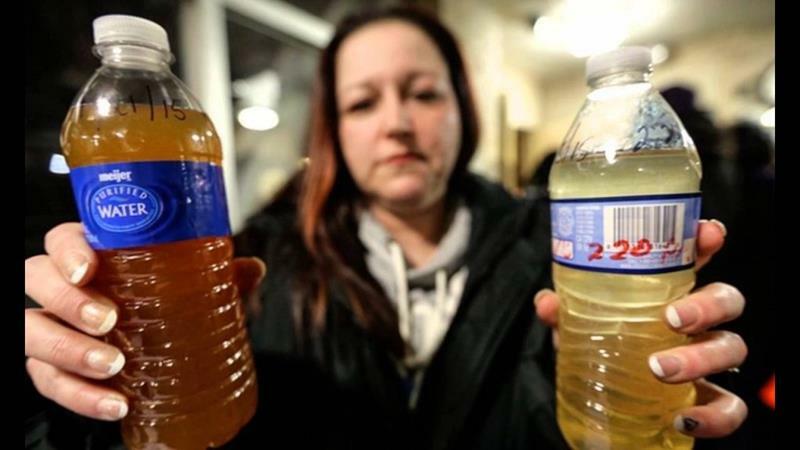 Would it make Flint, Michigan water safe to drink? 24. What warranty does Berkey have? 25. Where can I get the best price on a Big Berkey? It's manufactured by New Millennium Concepts, Ltd. in Arlington, Texas. The black Berkey filters are made in the USA. The stainless steel housings are assembled from US parts and imported parts. None of the parts are made in China. Berkey filters work primarily by using two technologies: microfiltration and adsorption. Each filter has millions of microscopic pores that are big enough to allow water molecules to pass through but small enough to block many contaminants. That's the microfiltration part. Adsorption (to quote Simple English Wikipedia) is the sticking of atoms or molecules to a surface. Molecules of contaminants that are smaller than the pores get stuck onto the filtration media, and they can't pass through with the water. So, microfiltration and adsorption work together to eliminate a wide variety of contaminants from the water as gravity pulls it down through the system. All you have to do it take off the lid and fill the upper chamber with water. The water drips down to the lower chamber and you dispense it through a spigot. It filters out sediment and rust as well as all kinds of organic and inorganic contaminants like bacteria and viruses, parasites, cysts, heavy metals, and chemicals. It also eliminates bad tastes and smells. See my article Quick Guide to Berkey Water Filter Contaminant Remova﻿﻿﻿﻿l for an easy to understand infographic about the kinds of contaminants the Berkey can filter out. Want to see the independent lab test results for Berkey filters? Yes. No more water that smells like bleach! The black Berkey filters don't remove fluoride, but you can add the optional PF-2 fluoride and arsenic filters. They will take care of the fluoride. It will reduce sulfur and iron quite a bit, but it won't remove them completely. The taste and smell will be noticeably better, though. Yes. Good minerals are not filtered out. Several factors play into the pH level of the filtered water, including the pH of the prefiltered water. It comes with 2 black Berkey filter elements, but it can hold up to 4. You can also add up to 4 PF-2 fluoride and arsenic filters, corresponding to the number of black Berkey filters you have. Big Berkey has a total capacity of 2.25 gallons. It's recommended for groups of 1 - 4 people. If it has 2 black Berkey filters and if the upper chamber is filled to the top, it can theoretically filter 3.5 gallons per hour. However, as the water level in the top goes down, the flow rate also decreases. That's why it's best to fill it all the way to the top and keep refilling it often. You can also speed up the process by adding more filters. When assembled, it's 19" tall, and it has a diameter of 8.5". First you prime the filters by flushing them with water. Then you place the black filters in the upper chamber and secure them with the provided wingnuts and washers. The optional fluoride filters screw right on to them. Attach the spigot to the lower chamber, place the top chamber on the lower one, and you're good to go. You do this by flushing them with water from kitchen faucet. Warning: Prepare to get wet! I've never succeeded at priming the filters without spraying water all over myself and the kitchen. This is the only gripe I have with Berkey. Berkey has introduced a new hand pump to make the job much easier and to keep you dry. You don't have to be at the kitchen sink to prime the filters, either. You just need to have a container of water to put the filter in when you prime it. 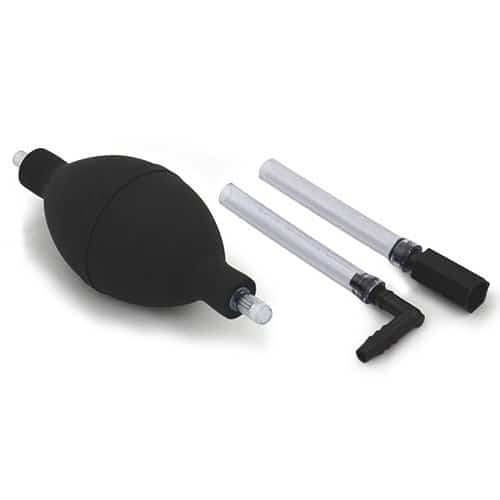 So do yourself a favor and get yourself a Black Berkey Pump to go along with the filters. Check the price at Amazon. It depends on your usage. Each black filter has a life of 3,000 gallons. That means that if you have 2 filter elements and use 3 gallons a day, they will last over 5 years. A pair of fluoride filters should be replaced every 1,000 gallons. At 3 gallons a day that's about once every 11 months. When you calculate the cost per gallon based on the price of the replacement filters, you get a cost of about 2¢ per gallon of filtered water with the Black Berkey filters only. But what if you want to add on the PF-2 fluoride/arsenic filters? The addition of the fluoride/arsenic filters increases the cost to 7¢ per gallon. When the black Berkey filters need a cleaning, you just scrub them with plain water and one of those scratchy green scrubbing pads. And by the way, if the flow rate slows way down, there's a good chance that you need to clean those filters. Always try that first before assuming that they're worn out. The fluoride filters aren't washable, by the way. You can clean the stainless steel container with some mild soap and water or diluted white vinegar. Yes it can! Rivers, ponds, lakes - almost any kind of water can be used. This is really great for people who want to be prepared for emergencies. No. It doesn't desalinate. If you put salt water into it you will ruin the filters. Don't put water from a saltwater pool into a Berkey, either. No, it doesn't. Hard water results from minerals in the water. Berkey doesn't remove healthy minerals, so if you put hard water in, it's going to stay hard. I love this question because it's the essence of everything we want to know when we're looking for a water filter. You can even put tap water from Flint, Michigan through the Big Berkey and be confident that what comes out is clean pure safe-to-drink water. The manufacturer warranty is 12 months on the system and PF-2 fluoride/arsenic filters and 2 years on black Berkey filters. There are several places online where you can buy the Big Berkey. The manufacturer, New Millenium Concepts, is no longer selling their products directly. This happened, I believe, in late 2018. If you go there, you'll see that they tell you to buy from other online retailers or authorized distributors. Speaking of authorized distributors - I recommend one called Berkey Filters. They have special offers on accessories and add-ons at the time of purchase. Sometimes you can find some great deals on ﻿﻿scratch an﻿﻿d dent item﻿s, too. You can click here to check out the offers at Berkey Filters. Click here to see the current price of the Big Berkey and any available discounts at Amazon. Read more about how to save money on Berkey filters and accessories. Learn more about the entire line of Berkey filter products. If you'd like to see how the Big Berkey stacks up against other popular brands, please see Countertop Gravity Water Filters: Which is Best? I hope these Q&As covered what you need to know about the Big Berkey in order to make an informed decision. But if there's something I missed, leave a comment and I'll try to find the answer for you.